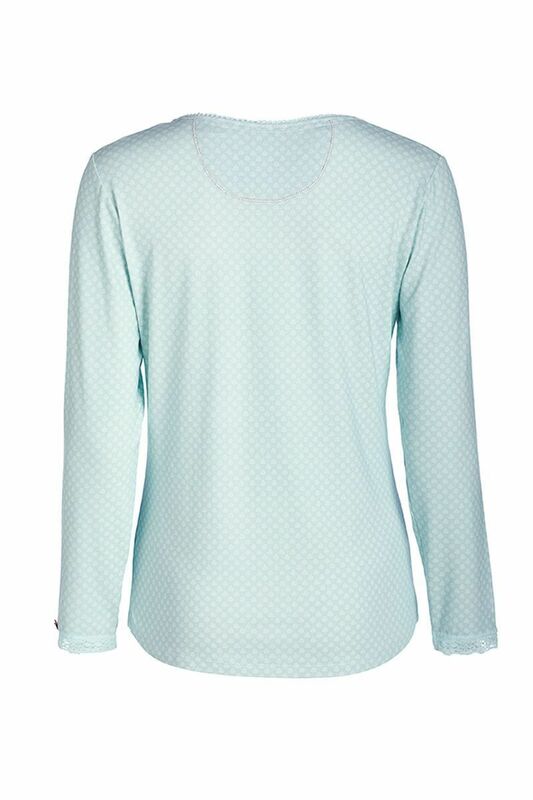 This comfortable top has long sleeves and is printed with a repeat print of small leaves. 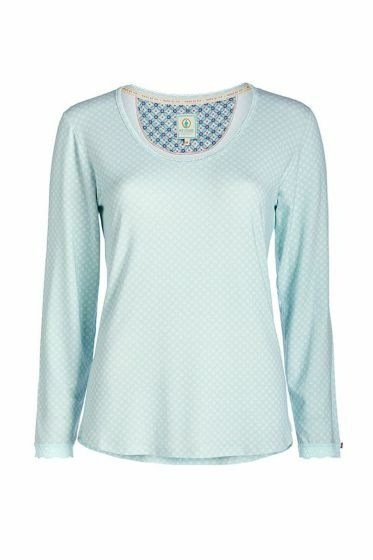 The deep neck and sleeves are trimmed with refined lace. Nice to combine with the matching pants from our collection.